Fathom – Israeli Elections: What next for the likely Netanyahu coalition? 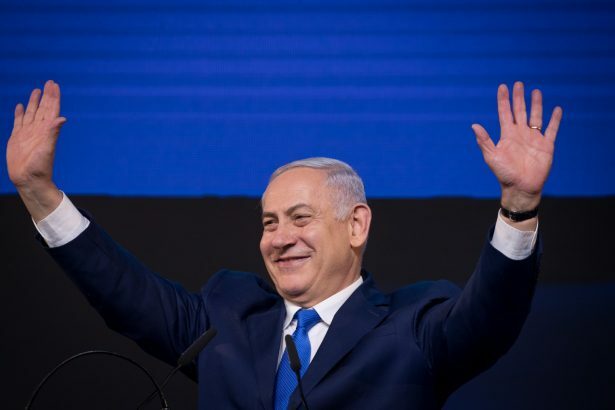 Fathom > April 2019 > Israeli Elections: What next for the likely Netanyahu coalition? Prime Minister Benjamin Netanyahu addresses supporters at the Likud party headquarters in Tel Aviv, as the results of the Israeli general election is announced. 9 April 2019. Image from Yonatan Sindel/Flash90. Calev Ben-Dor writes that the good news for Netanyahu is that his ability to form a coalition with his ‘natural partners’ in the right wing and ultra-Orthodox camp should be easier than many predicted. However, the less good news are the three potential minefields coming down the track, which even Netanyahu – with all of his political genius – may struggle to manage. Waking up to yet another Benjamin Netanyahu election victory reminded me of a conversation with long-time journalist Ben Caspit in September 2017. 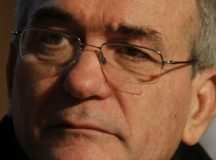 A long-time critic of the Prime Minister (Netanyahu even unsuccessfully attempted to sue him for libel), Caspit told me that ‘as long as Bibi’s fate is in his own hands, he is the best fighter and will stop at nothing to win’. 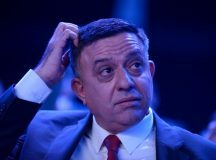 Caspit’s description of Netanyahu as a political genius, imbued with the ‘the spirit of resolve, the refusal to quit and the code of the last man standing’ attests to his staying power, even when faced with three former Chiefs of Staff, rockets from Gaza, and looming corruption scandals. Indeed, gaining 35 seats for Likud was beyond the wildest dreams (and for some, nightmares) of most of the Israeli public. The good news for Netanyahu is that his ability to form a coalition with his ‘natural partners’ in the right-wing and ultra-Orthodox camp should be easier than many predicted. Based on unofficial results, if all of them join he would have (in addition to Likud’s 35 seats) the ultra-Orthodox parties Shas (8) and UTJ (8) as well as the right wing parties the United Right (5), Yisrael Beitenu (5) and the centre-right party Kulanu (4) for a total of 65 seats. 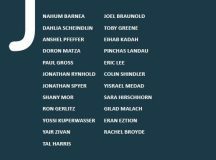 Moreover, two of his political nemeses – Naftali Bennett of the New Right and Moshe Feiglin of Zehut – have seemingly failed to pass the electoral threshold. The less good news for Netanyahu however are the three potential minefields coming down the track, which even Netanyahu – with all of his political genius – may struggle to manage. One of the ‘official’ reasons for calling elections (rather than the unofficial reason of trying to outmanoeuvre the Attorney General’s indictment recommendations) was the difficulty in passing the Conscription Law. Deep disagreement exists between Avigdor Lieberman’s secular nationalist Yisrael Beitenu on the one hand, and the ultra-Orthodox Shas and UTJ parties on the other regarding ultra-Orthodox males joining the army. Drawn up by the IDF and supported by Lieberman, the bill formalises exemptions for the vast majority of yeshiva students but sets annual minimum targets for ultra-Orthodox conscription that, if not met, would result in financial sanctions on their places of learning. Yet the ultra-Orthodox are staunchly opposed. Extensions by the Supreme Court – granted for September 2018, then December 2018 and subsequently January 2019 when elections temporarily pushed the bill off the agenda – will not be given indefinitely. And Netanyahu’s next government will not be able to kick the can down the road. But finding a modus vivendi between Lieberman – who seems in no rush to re-join Netanyahu’s government – and the newly strengthened ultra-Orthodox parties will require all of Netanyahu’s political skills. Days before the election and in the peak of his gevalt (the end is nigh) phase, Netanyahu promised to extend Israeli law onto West Bank settlements. Yes, it was more election campaigning than a well-thought out policy programme; and yes, he has been careful to oppose such moves in the past. But as Netanyahu attempts to bring the Greater Land of Israel supporting ‘United Right’ into his government, he may be hard pressed not to include an annexation clause into the coalition agreement. While this will (further) convince many in the international community that Netanyahu has gone cold on the two-state solution, the only opinion that seemingly matters to the prime minister lies in Washington. And how this plays with the Trump administration is difficult to gauge. The peace plan remains a closely guarded secret, and if it is ever published Abbas will likely reject it before Netanyahu is forced to. But despite this, it remains difficult to see any political overlap between the demands of Netanyahu’s coalition partners on the one hand, and the contours of Trump’s peace plan on the other (even if it is generally sympathetic to Israel). Netanyahu is a master at bridging such gaps in positions and expectations. But if Trump becomes emotionally invested in his plan, it could cause problems for Netanyahu’s coalition. The corruption charges surrounding Netanyahu that were in deep freeze for much of the campaign are about to thaw, and his future will ultimately be determined by two separate but parallel tracks. The first is the legal process, which is focused on the attorney General’s (AG) decision over an indictment, as well as subsequent trials. A hearing is set for the summer, and the AG’s final decision to indict will come soon after. The claim oft peddled by Netanyahu and his allies that the various charges will collapse ‘like a house of cards’ during the hearing is wholly unrealistic. Instead, the AG will almost certainly recommend indicting Netanyahu on serious charges of fraud, breach of trust and potentially bribery. Yet while the legal process can potentially take years, the second process, the political one, is significantly shorter and will peak once the AG announces a final decision following the hearing. Several experts I have spoken to believe a prime minister cannot (morally and technically) continue to serve with such an indictment hanging over his head. 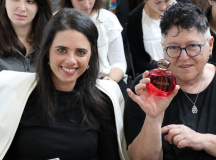 Yet the election results may provide a majority for passing a bill restoring immunity to all MKs unless a majority votes to lift it or an alternative bill granting Netanyahu immunity based on the argument that pursuing the case would damage to the will of the voters who just elected him. Either bill would be deeply cynical move. But after questioning Gantz’s sanity, embracing a homophobic internet troll, and actively midwifing a merger to facilitate the entry of Kahanists into the Knesset, perhaps the experts suffer from a failure of imagination.